We will match up single participants and contact all potential team members individually to confirm interest. Once interest from all parties is confirmed, we will introduce team members and you can begin your submission preparation. 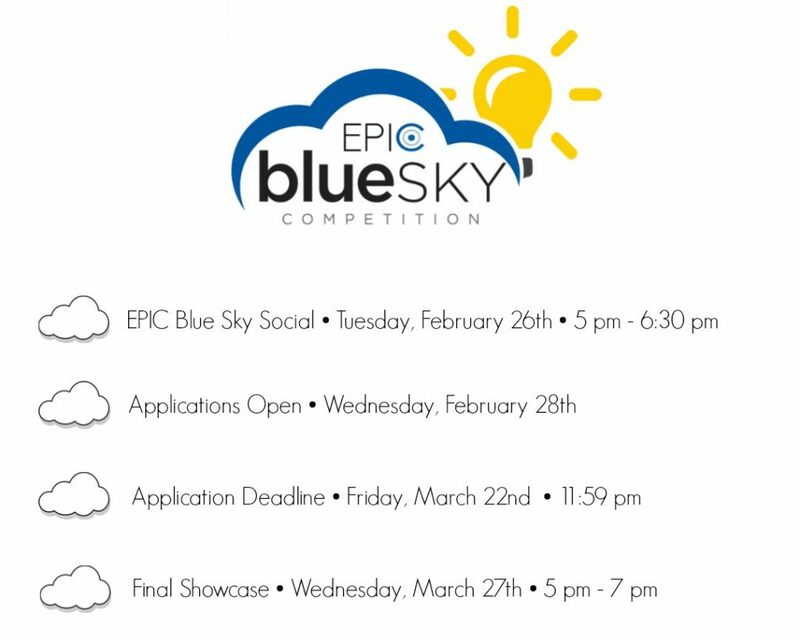 Judging will take place during our Final Showcase on Wednesday, March 27th, 2019 at EPICentre. All participants, friends, family, etc. are welcome to attend to watch the submissions and enjoy complimentary refreshments. What is the problem? Who does it concern? Do you have a mock-up of your solution? Will people use your product or service? How will they contribute to the project? Do you have a high-quality pitch?